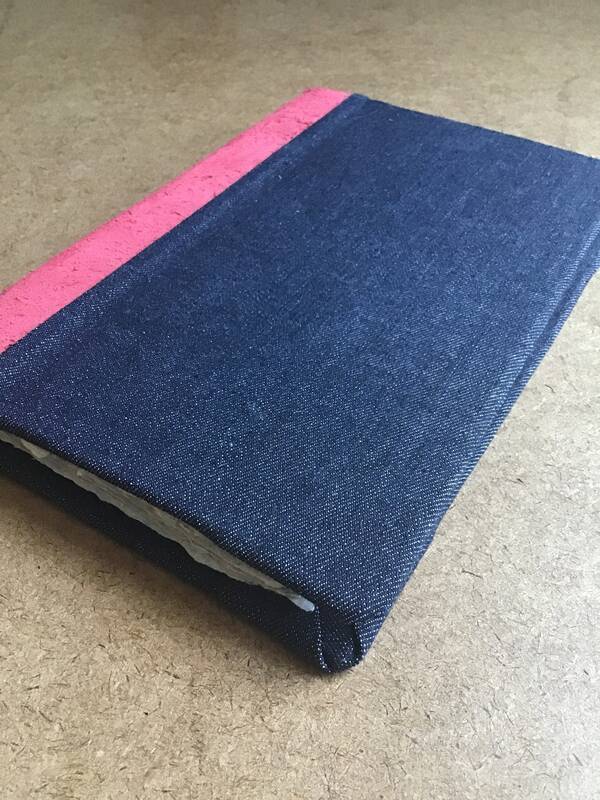 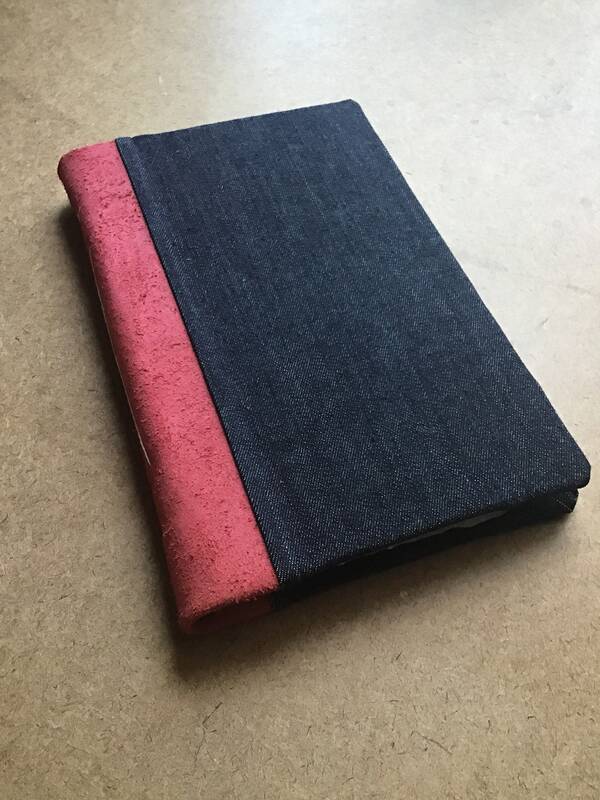 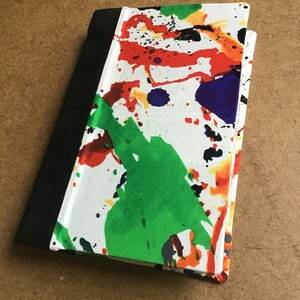 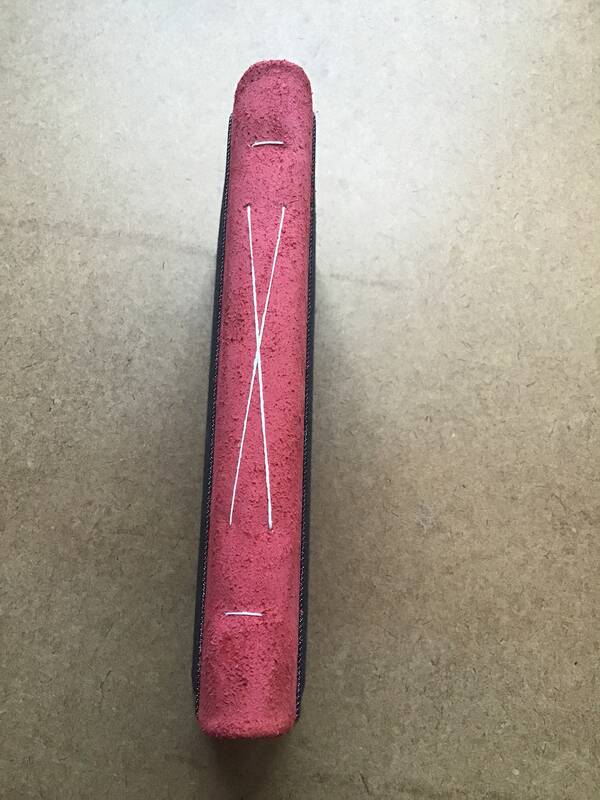 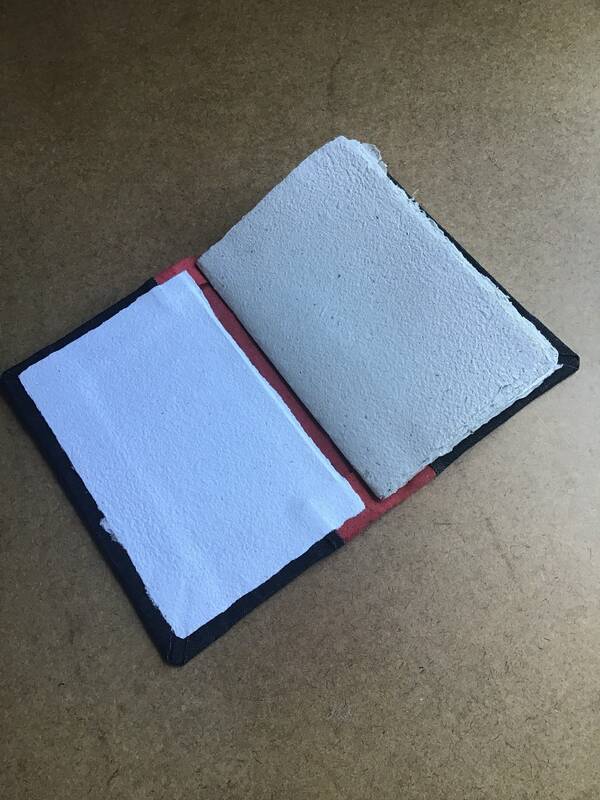 This journal is made from salvaged book board covered in scrap cloth from my friend's dog bandana business, red leather, handmade recycled paper, and waxed linen thread. 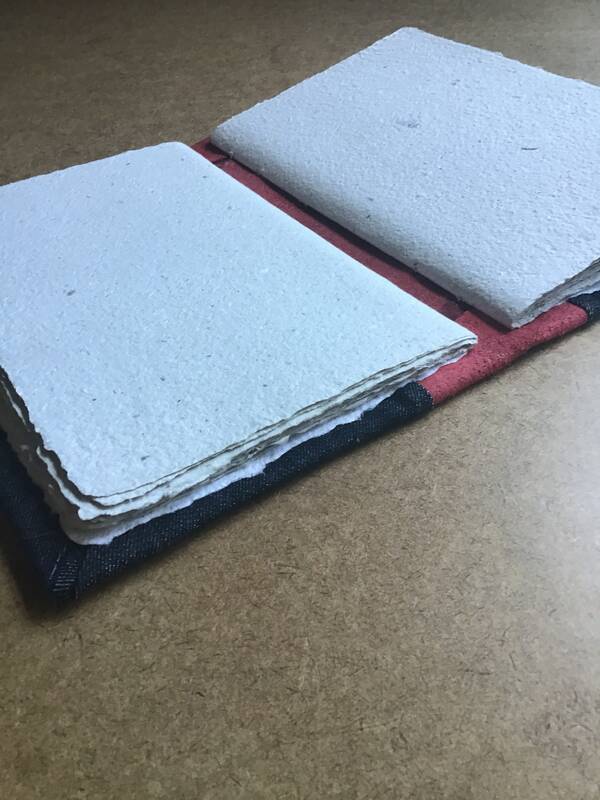 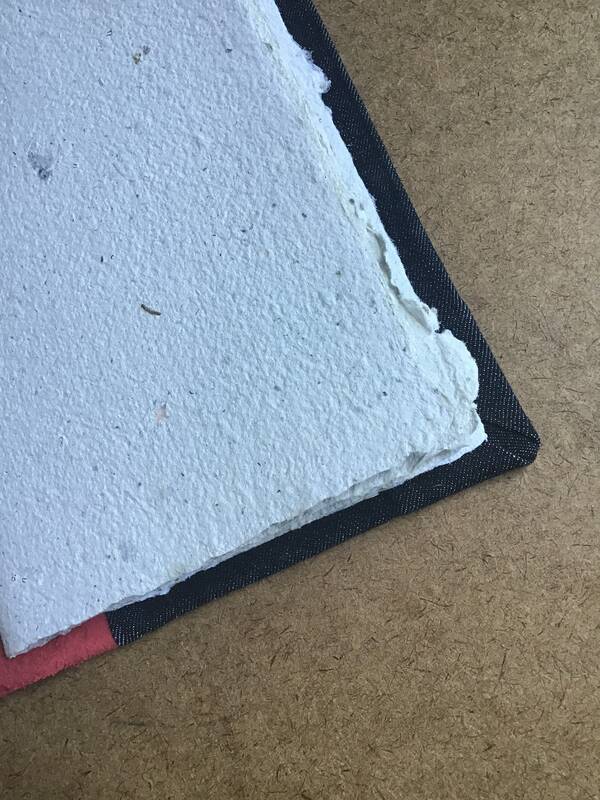 The pages are a grey handmade paper made from the pages of the salvaged thrift store book. 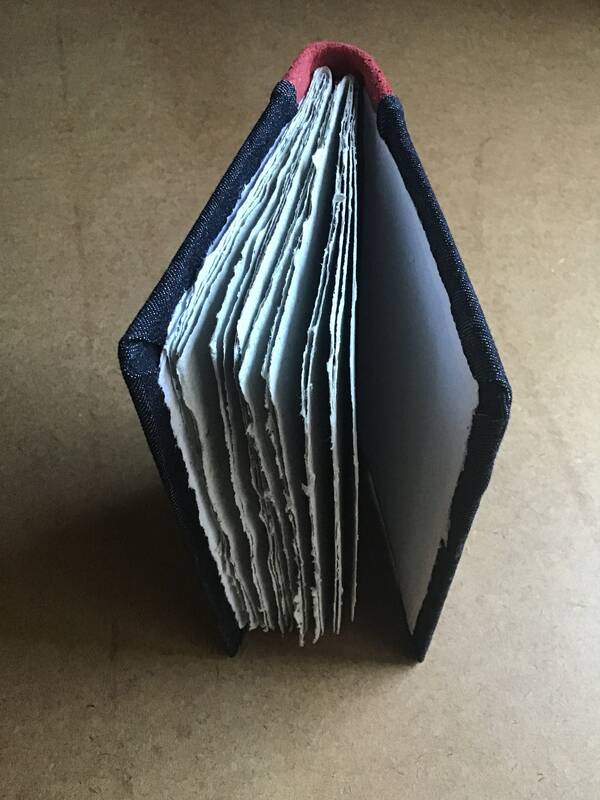 It was bound in the longstitch style using white waxed linen thread, which allows the book to lay completely flat when open. 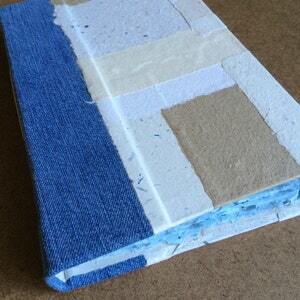 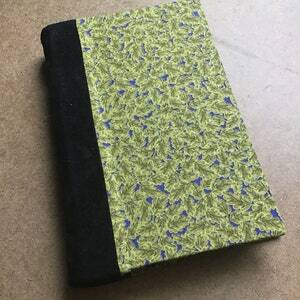 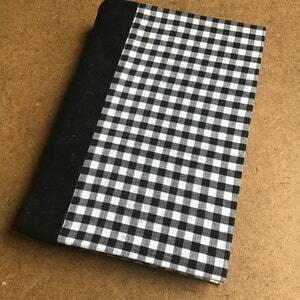 The longstitch binding makes it a great book to write or sketch in while you're away from a desk.